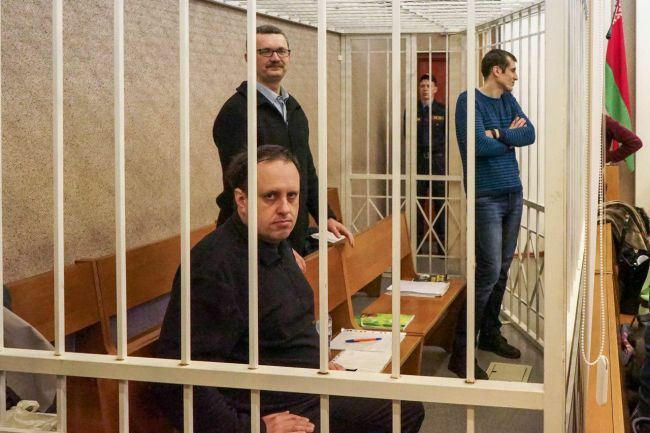 More than a month ago, on December 18, the trial over pro-Russian columnists Sergey Shiptenko, Yuri Pavlovets, and Dmitry Alimkin started in Minsk. To remind, in the articles for Russian media they were harshly criticized emerging alignment between the Belarusian government and the West at the expense of the integration with Russia and the Belarusian authorities flirting with radical nationalism. They are accused of “kindling ethnic hatred within a group of individuals” which envisages a sentence of 5-12 years. Besides, Pavlovets and Shiptenko are accused of “illegal entrepreneurship” (the investigation meant that they received remuneration for their articles) despite the fact that they had registered as individual entrepreneurs and paid taxes. On January 20, the judge called the investigation closed, while refusing to give a chance to the accused to take the stand. January 22 was the day of oral statements of the parties during which the prosecution asked for five years of sentence for the accused with a three-year reprieve and withdrew the charge of illegal entrepreneurship. On January 23, defense lawyers delivered their speeches. On January 26, the columnists presented their final statements. EADaily’s correspondent is text-messaging from the court. 02:26 p.m.: The court hall is full of reporters who are hammering at the families. 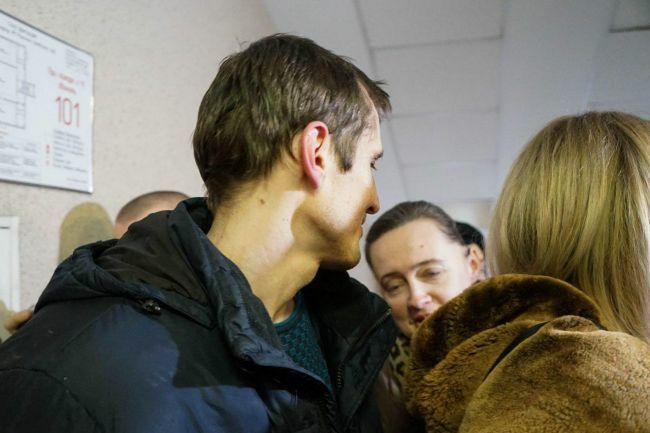 Sergey Shiptenko’s wife Irina is asking them not to bother his mother. 02:22 p.m.: Shiptenko tells reporters he is not going to leave Belarus. 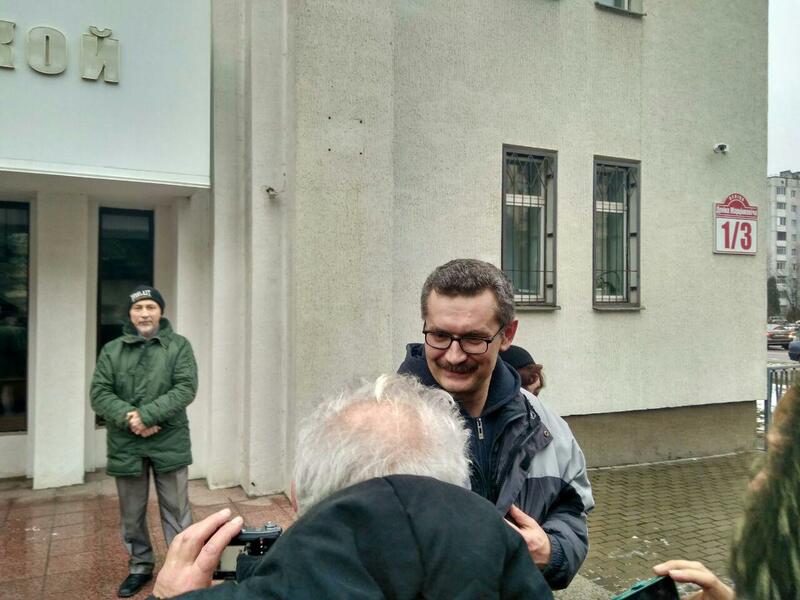 02:17 p.m.: Sergey Shiptenko says he would appeal the verdict. It can be done within next ten days. 02:10 p.m.: The judge explains conditions of the verdict. The accused are released on travel restrictions, which means they are not allowed leaving the place where they live. 02:08 p.m.: Arrest of property (mobile phones and so on) is lifted. The accusation of illegal entrepreneurship is lifted. 02:05 p.m.: The trial is over. The judge starts with reading the verdict: five years of sentence with a three-year retrieve; to release the defendants in court. The columnists are allowed to leave the defendant’s cage. 24.11 Will spy scandal in Belarus push Lukashenko towards Russia?